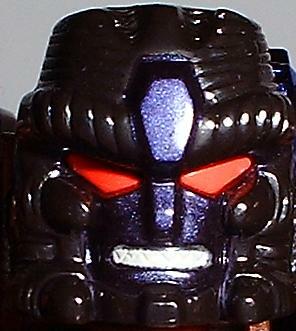 Welcome to the toy review, image gallery and information page for Beast Wars Transmetal Megatron . Along with images of Transmetal Megatron you can also find information about this Transformers figure including and subgroups and alternative names. On the left hand navigational menu you can find a list of all of the toys that use the same mold, all of the toys that aer based on the same character as this figure, as well as a list of the latest Transformers toy gallery that have been added to this website. Below this introductory paragraph, you will find some tabs that, when clicked, will replace this area. You can use them to view the various profiles that have been associated with this toy, the TechSpec of the figure, a list of tags that were associated to the toy image gallery as well as a tab dedicated to all of the toys that are associated with this one. That tab will allow you to jump between "linked" toys. 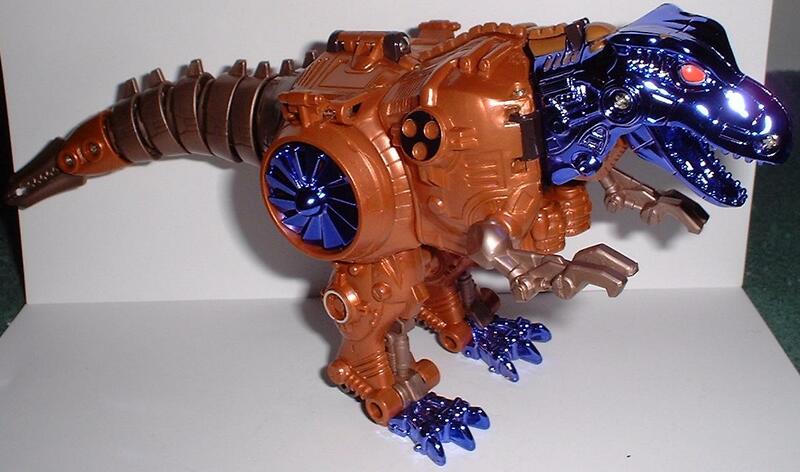 Profile: A quantum surge rips across the Beast Wars world altering Megatron, evil genius and leader of the Predacons, into a metal-armored T-Rex. New turbine powered V.T.O.L. (Vertical Take-off and Landing) engines extend from his body, providing blazing atmospheric flight and the ability to "drop in" on unsuspecting Maximals with his whiplash cutlass! Fused reptilian musculature enhances his power in an organic robot mode. The result: creation of a supreme tyrant! 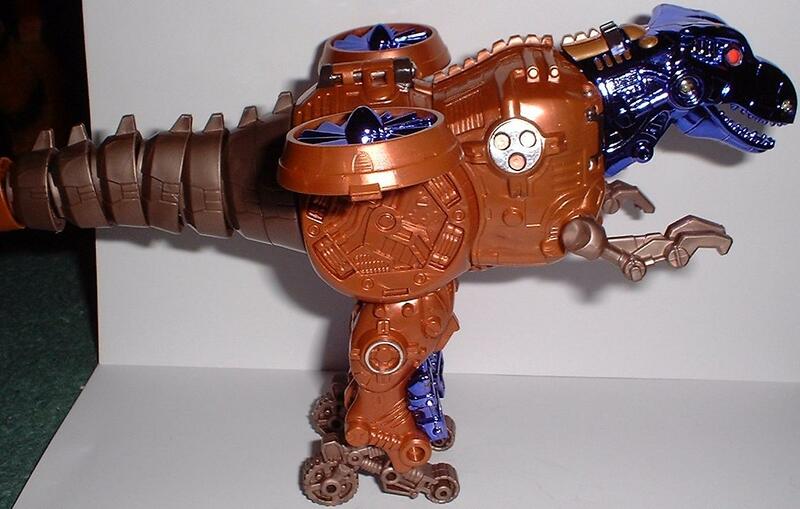 The following tags have been associated with this Beast Wars Transmetal Megatron gallery. 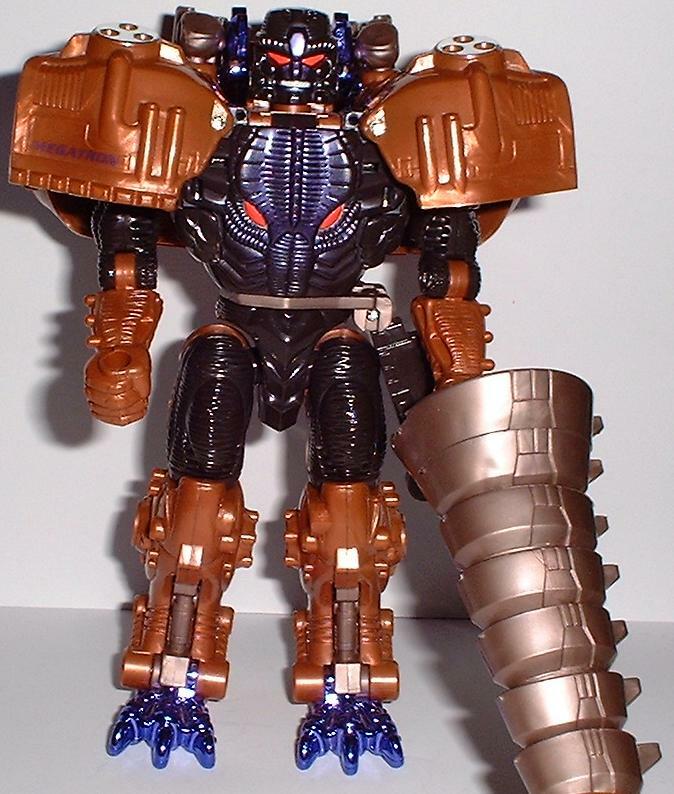 Transformers Beast Wars - Transmetal Megatron - Perfect, Complete, & Clean!!!! Page Rendering Time: 0.4038 seconds.